It works only on GBPJPY but the full version works on all currency pairs. 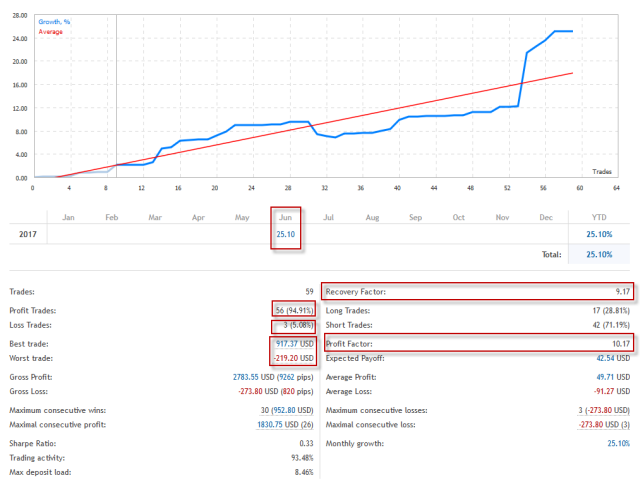 Simply it gives you entry point ,SL line and 4 TP lines or less. Once SL-TP lines are shown with the arrow, they remains as they are until signal change. 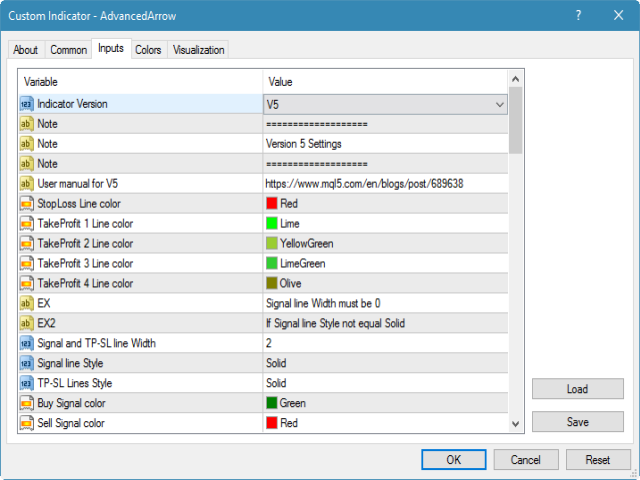 Indicator Version: choose V5 or V6. TP 1 Line color: TP1 color. TP 2 Line color: TP2 color. TP 3 Line color: TP3 color. TP 4 Line color: TP4 color. Signal line Style: Choose (Solid, dashed,.). TP-SL Lines Style: Choose (Solid, dashed,.). Buy Signal color: Buy signal color. Sell Signal color: Sell signal color. Historical Bars: Number of history bars on chart for the indicator calculation. Show Vertical line: (true / false). Place of Vertical line: you can choose (On Diamond / On Signal). Buy Vertical line color: Buy Vertical Line color. Sell Vertical line color: Sell Vertical Line color. Vertical line Style: Choose (Solid, dashed,.). 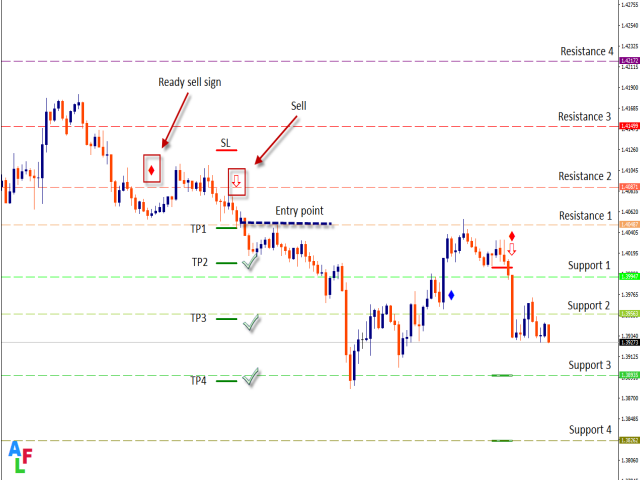 Ready Sign location from H/L candle in pips: you can adjust the place of ready sign in pips. 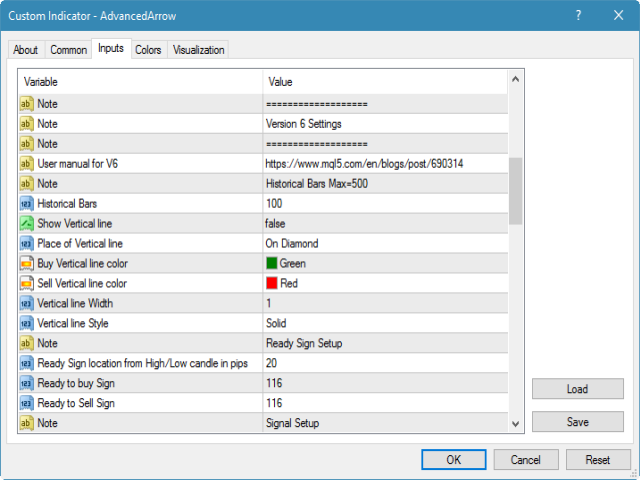 Ready to buy Sign: Type the code of symbol you want indicator to draw as ready to buy sign (see codes table). 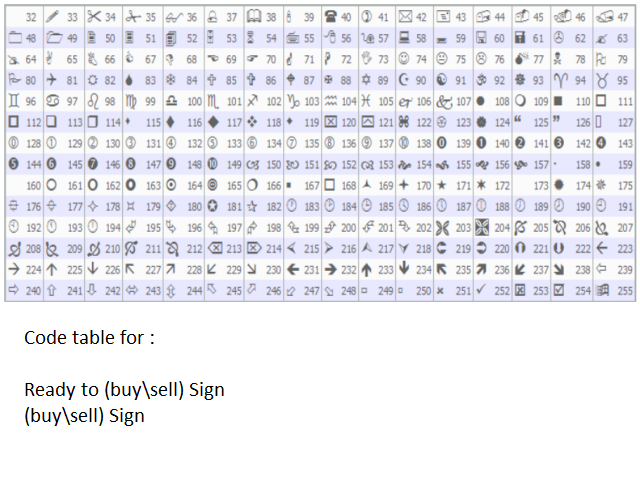 Ready to Sell Sign: Type the code of symbol you want indicator to draw as ready to sell sign (see codes table). 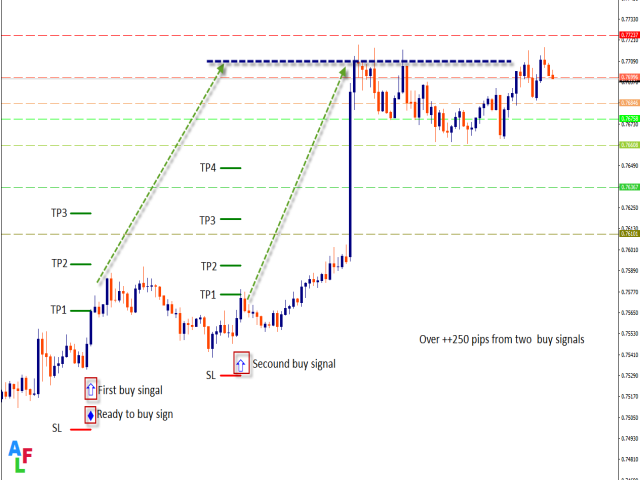 Signal location from H/L candle in pips: you can adjust the place of signal sign in pips. 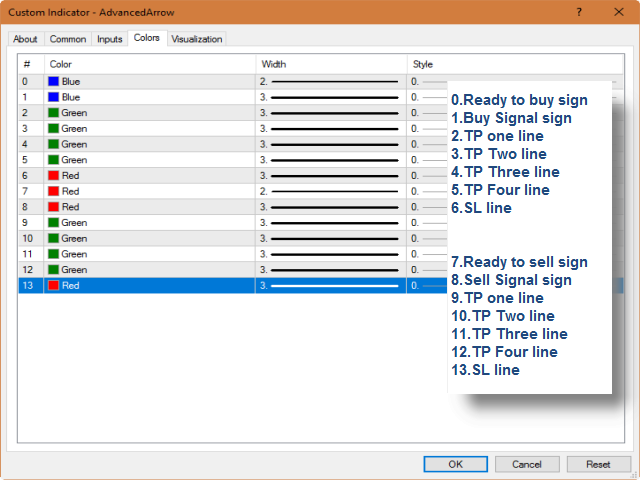 Buy Signal Sign: Type the code of symbol you want indicator to draw as buy signal. 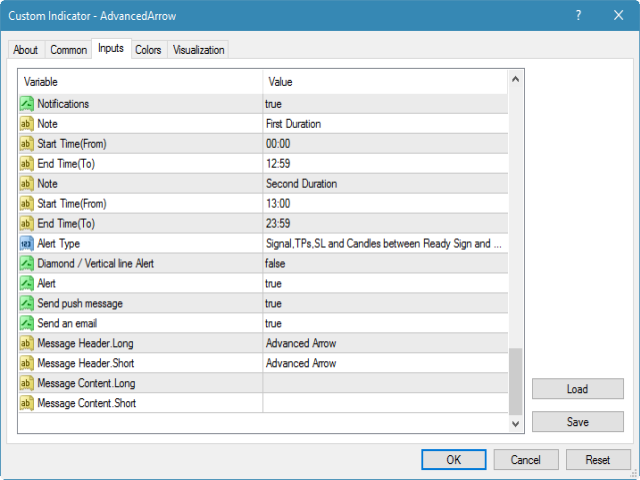 Sell Signal Sign: Type the code of symbol you want indicator to draw as sell signal. 1. Current day if you use (H1 or less). 2. Current week if you use H4. 3. Current month if you use D1. 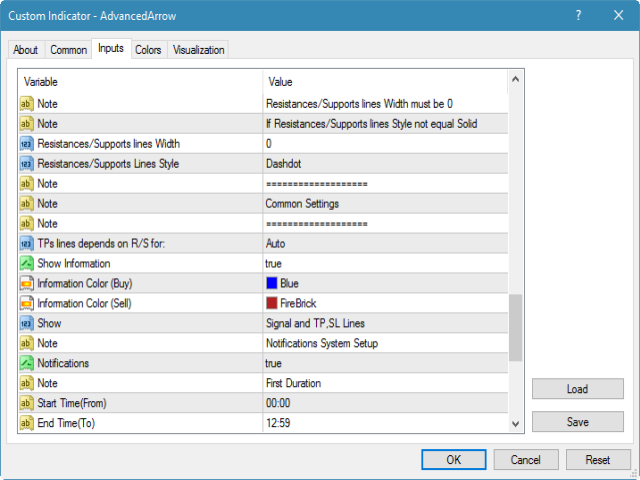 Show Supports: (True / False) to let indicator drawing the S.
R/S Lines Style: Choose (Solid, dashed,.). 1. Auto: same R/S levels on the chart. 2. M5: R/S for time frame 5 minutes. 3. M15: R/S for time frame 15 minutes. Show Information: show information about last signal. Information Color (Buy): color of buy signal information. 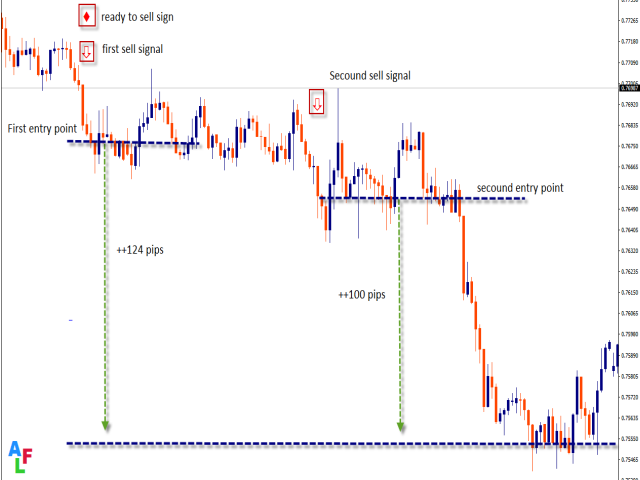 Information Color (Sell): color of sell signal information. 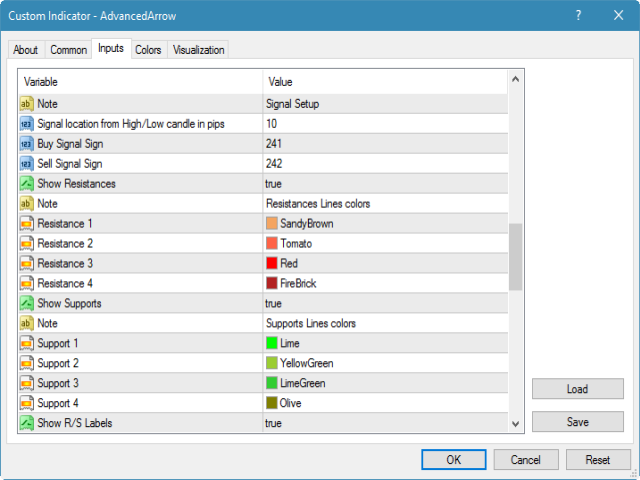 Show: you can choose between (Signal ,TP, SL Lines / Just Signal). Notifications: (True / False) enable or Disable notifications system at all. Start Time (From): Duration time in day for notifications system as From Time. End Time (To): Duration time in day for notifications system as To Time. 1. Signal,TPs,SL and Candles between Ready Sign and Signal. Diamond / Vertical line Alert: (true / false). 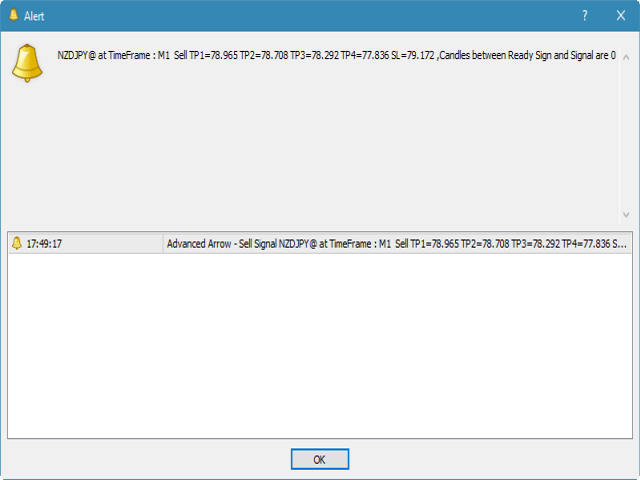 Alert: Displays a message in a separate window. Send push message: Sends push notifications to the mobile, whose MetaQuotes IDs are specified in the "Notifications" tab. Send an email: Sends an email at the address specified in the settings window of the "Email" tab. Message Header.Long: The header of message send to you in long signal case. Message Header.Short: The header of message send to you in short signal case. Message Content.Long: The message content send to you in long signal case. Message Content.Short: The message content send to you in short signal case.